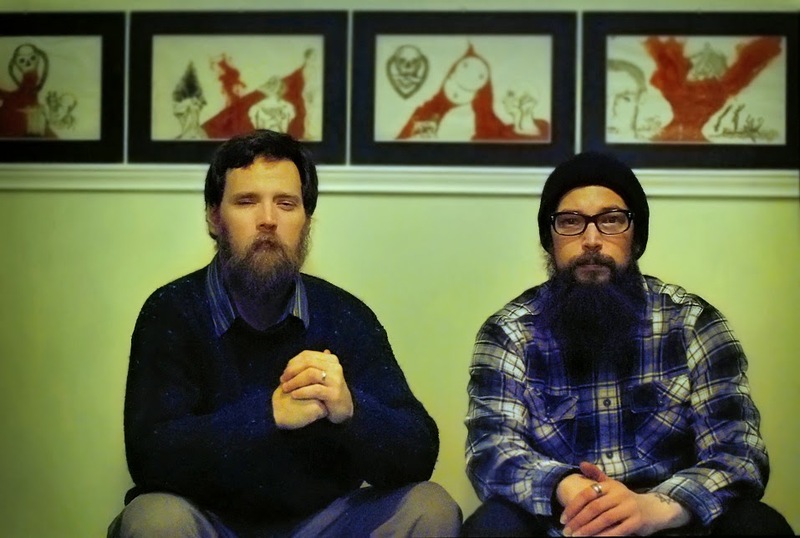 The experimental music duo Bull of Heaven will be in St. Louis to perform a rare live show at 8:00 p.m. this Saturday, August 2 at Lemp Neighborhood Arts Center. Formed in 2006 by Denver musicians Clayton Counts and Neil Keener (and occasionally including assorted other contributors), Bull of Heaven (pictured) view music and sound as conceptual art. According to LNAC's news release, they "have recorded and released songs ranging from less than a second to several septillion years in length, all available for free download through the band’s website." The band's Wikipedia page recounts various pieces lasting hundreds of hours or more, and also notes that their more recent output includes "various music puzzles" such as "MP3 files that are actually RAR archives, password-encrypted files, pieces embedded within other formats, such as PDF and EXE, pieces listed with negative song lengths, and a variety of SWF files." Critics and journalists have described Bull of Heaven's music generally in terms of drones, noise and minimalism, but their individual works are said to incorporate a variety of influences, from spoken word and free jazz to prog rock, classical and more. However, since they've played only a handful of live shows, even their presenters at LNAC are a bit in the dark as to what to expect: "Who knows? That is the beauty of conceptual art as music. What is guaranteed is a three to four hour performance, and a once-in-a-lifetime experience at an intimate venue that will have the audience sitting inches away from the performers." For more about Bull of Heaven, see this 2011 feature from the Denver alt-weekly Westword, and this 2009 feature from the website Musique Machine. Ticket for Bull of Heaven at the Lemp Neighborhood Arts Center will be $7 at the door.